The Library’s collection comprises hybrid resources (Print & Electronic) in the filed of science and technology, engineering, pharmacy, management and hotel management. The Library also has a separate Internet section consisting of a number of networked terminals for providing recent and most comprehensive access to online journals, online databases and other online reference resources to the faculty, students and staff under Intranet and Internet environment. 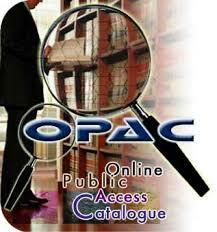 The Central library has automated all its routine activities through library software called “LIBSYS” and also extended the scope of various services like CD-ROM database search, OPAC and Web based OPAC. The mission of our central Library is to provide comprehensive information to fulfill the needs of the BIT community and to support the Institute’s mission to contribute to society through the pursuit of education, teaching, learning and research at premier levels of excellence. In this preferred future, Library makes certain that its collections remain forward-looking, diverse in girth and form. Through promotion, the Library makes its users aware of the resources available to them, and through innovation, it makes access to these resources easier. To serve potential users, the Library conserves information across all formats and ensures effectual storage and deliverance scheme. The Library’s cooperation with expanding circles of associates yields unified access, broadening knowledge, and enhanced services.